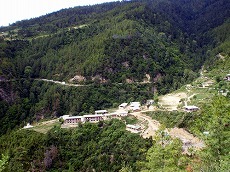 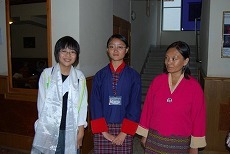 Three students from Bhutan went to Narawa middle School and a teacher visited several educational facilities in Handa. 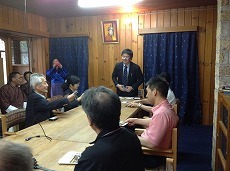 They made a courtesy visit to the mayor of Handa. 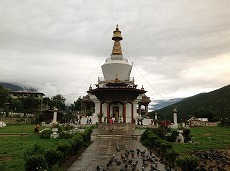 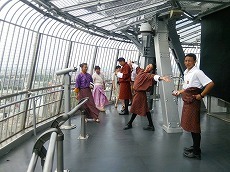 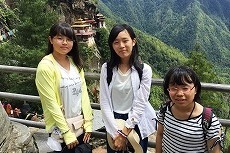 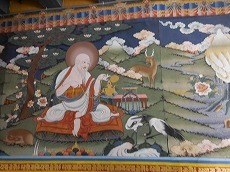 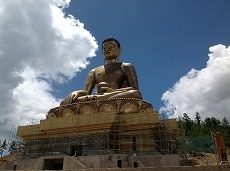 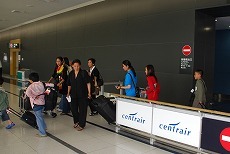 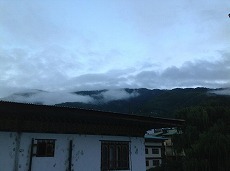 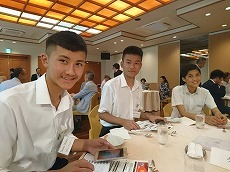 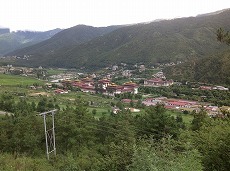 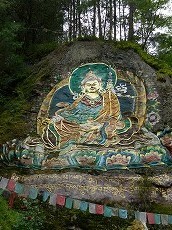 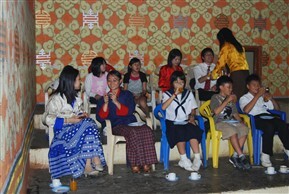 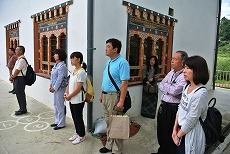 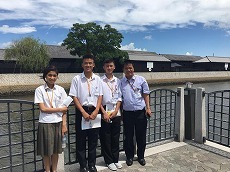 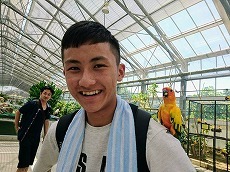 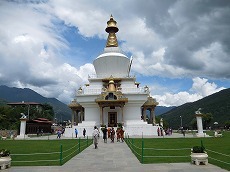 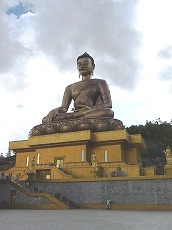 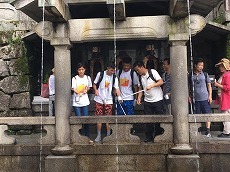 Three students and a teacher came to Handa from Bhutan in the evening of July 13. 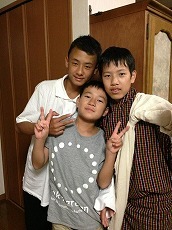 They stay at host family house. 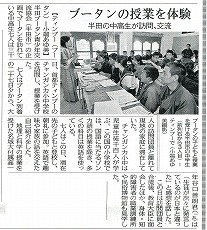 They will attend a class in a school and observe several facilities in Handa. 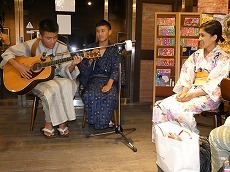 They will touch Japanese cultures and experience a Japanese daily life. 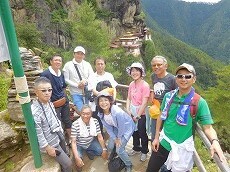 Handa-Bhutan Youth Friendship Association safely arrived in Bhutan. 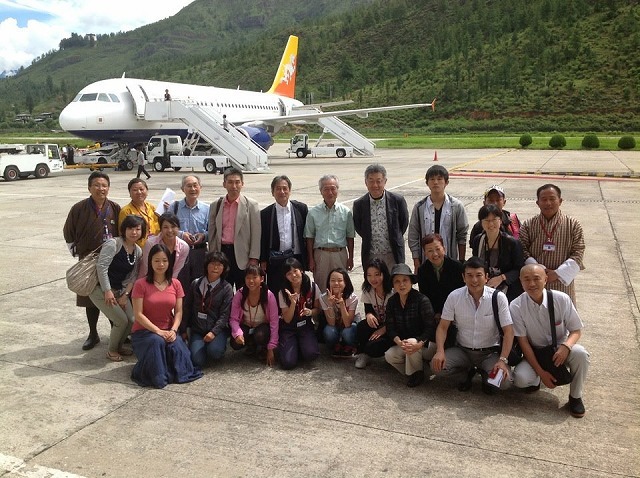 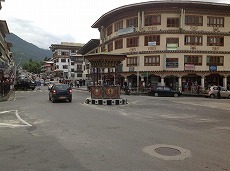 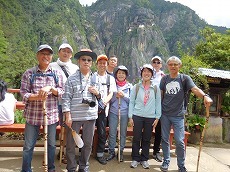 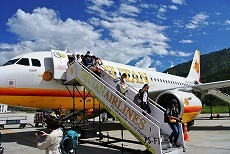 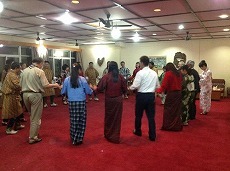 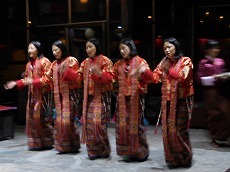 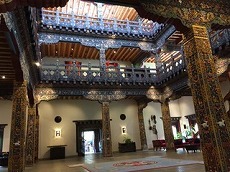 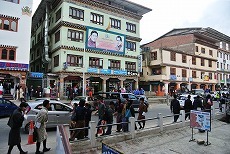 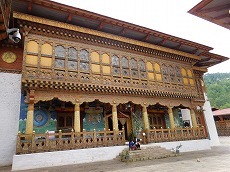 ★Handa Citizen Delegation safely arrived in Bhutan. 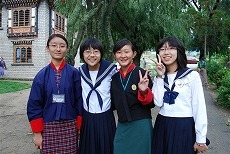 ★Middle school students attend the class in Bhutanese school. 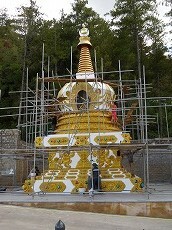 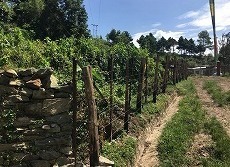 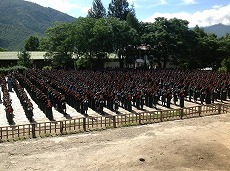 New pictures of the students in Bhutan were sent. 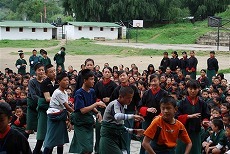 The students study at a class in Bhutanese school. 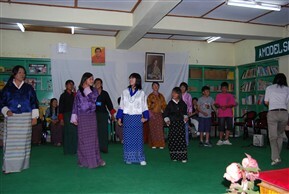 The lesson is given in English in Bhutanese schools. 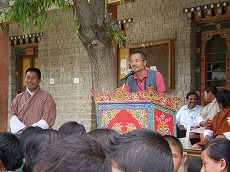 Welcomed by Bhutanese children. 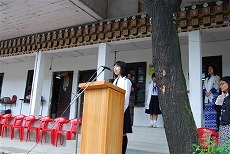 How were the speeches done by three Japanese students? 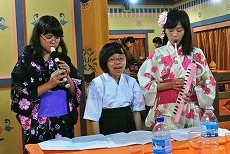 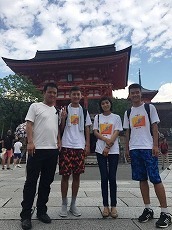 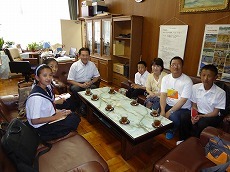 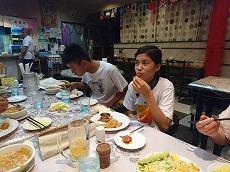 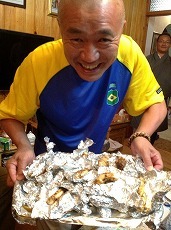 Three Japanese middle school students went to host family home. 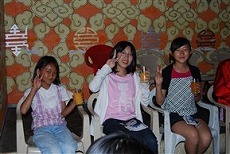 Three Japanese middle school students are full of smile. 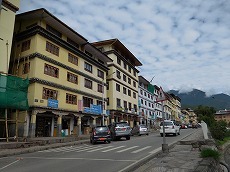 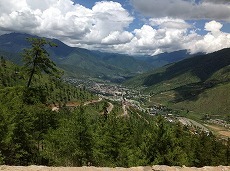 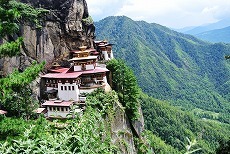 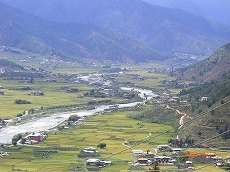 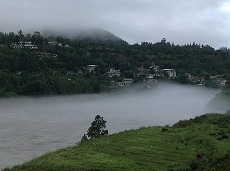 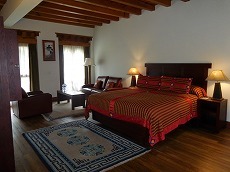 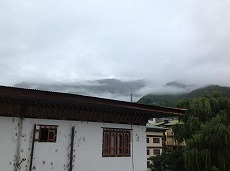 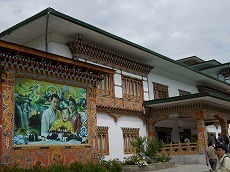 How is a home stay in Bhutan? 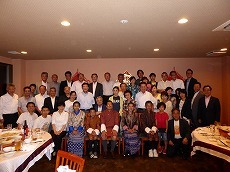 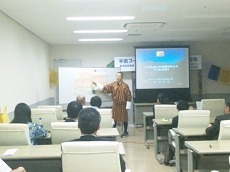 The general assembly of Handa-Bhutan Youth Friendship Association was held successfully for Heisei 22. 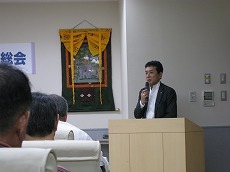 Mr. Masaharu Ido who recently returned from Bhutan gave a commemoration lecture at the general assembly. 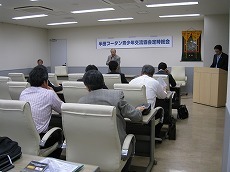 All proposed agenda were approved. 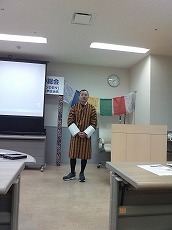 Mr. Ido gave a lecture with “Go”, a traditional Bhutanese costume. 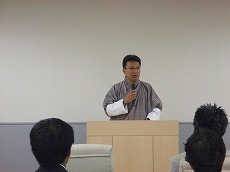 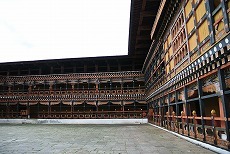 The general assembly of Handa-Bhutan Youth Friendship Association fro Heisei 22 will be held. 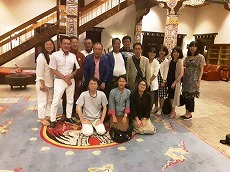 ※ After the general assembly, Mr. Masaharu Ido who worked for JICA and other organizations office in Bhutan for many years will give a lecture. 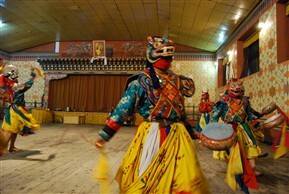 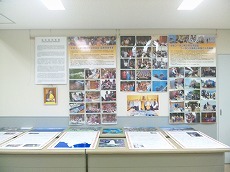 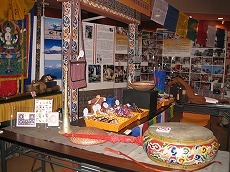 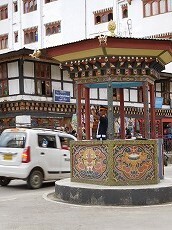 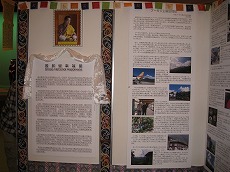 We also display the pictures of 2009 activity and Bhutanese folk handcrafts. 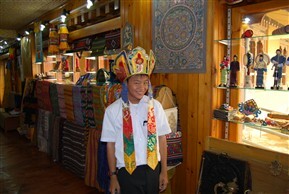 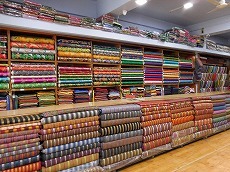 Bhutanese hand crafts can be purchased. 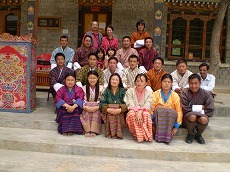 Members of Handa Delegation to Bhutan in July 2010. 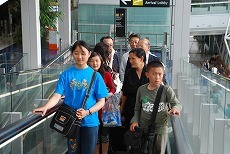 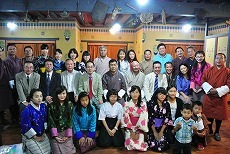 1 Handa Citizen Delegation – Maximum 10 people. 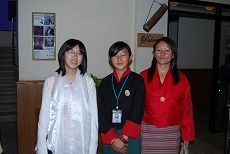 2 Youth People Delegation – Maximum 4 people. 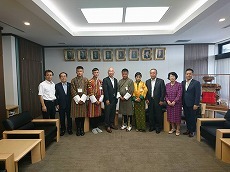 Bhutan and Handa-Bhutan Youth Friendship Association jointly set up Bhutan booth on October 10 and 11 in Aichi World Friendship Festival which was sponsored by Aichi prefecture. 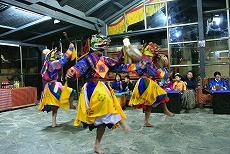 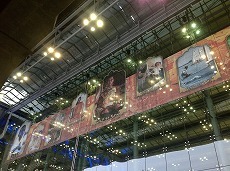 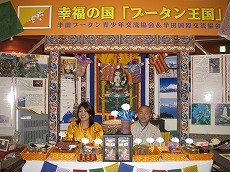 Bhutan booth introduced Bhutanese cultures and the friendship between Bhutan and Handa city. 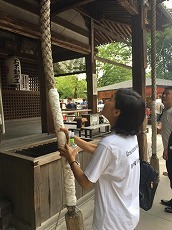 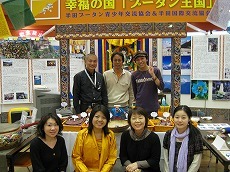 Ms. ツェリン・ザム who is from Bhutan and currently living in Yokohama came to the festival to help the booth. 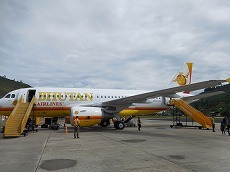 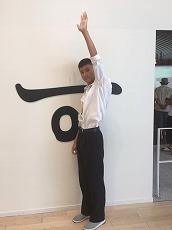 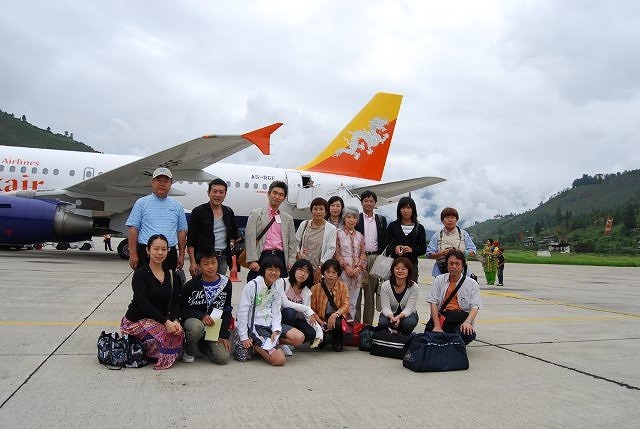 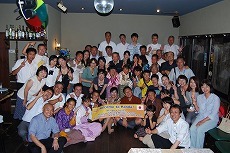 ★The Bhutanese teacher and children finished said “Good-by” with tears in their eyes in the farewell party held on July 13th and left Centrair airport for Bhutan on July 14th. 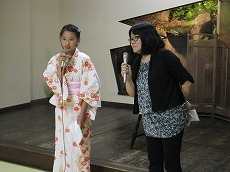 While they stayed in Handa for 11 days, they experienced/observed many things. 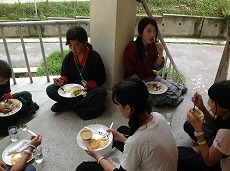 ★We are grateful to all people working on the visit of Bhutanese teacher and children including the following people and schools for kind hospitality and cooperation. 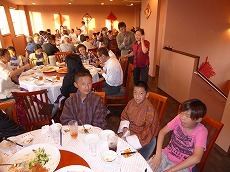 ★The Bhutanese children completed a short education program in Narawa Middle School and then attended a farewell party held by Narawa Middle School students. 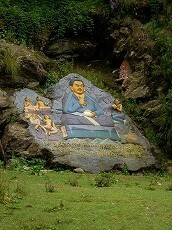 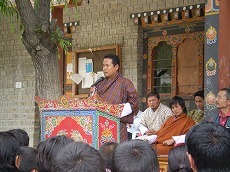 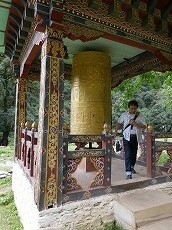 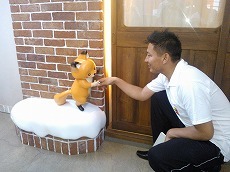 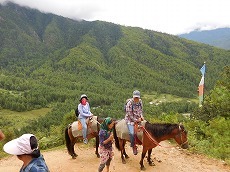 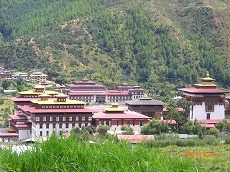 The Bhutanese teacher visited elementary schools, middle schools and high schools. 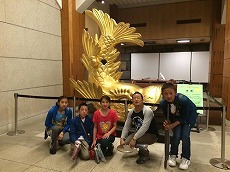 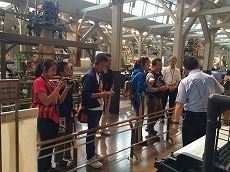 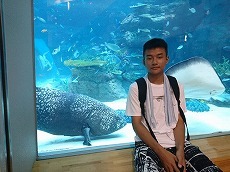 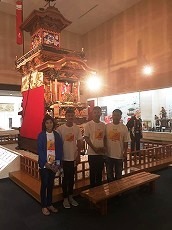 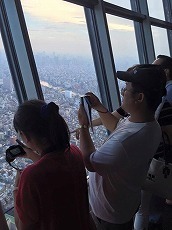 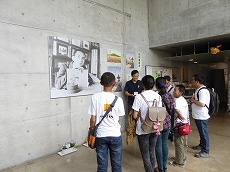 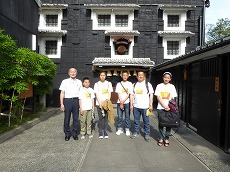 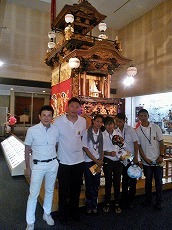 The teacher and children went to Nagoya on July 11th and visited Industry Museum, Toyota Museum and Electric Museum. 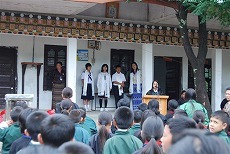 ★Bhutanese children have started to study at Narawa Middle School in Handa today (July 8). 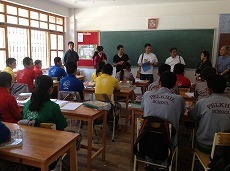 They looked a little nervous, but, they settled in the class quickly. 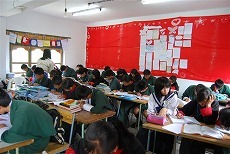 They are studying hard in each class. 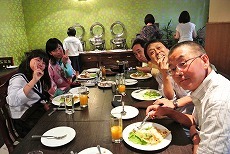 We hope they can have many nice memories for the next three days. 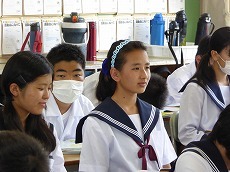 ★The teacher plans to visit a primary school, a middle school, a nursery school and a high school in Handa. 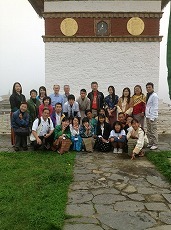 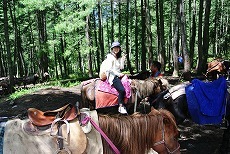 ★The Bhutanese children went to Chita peninsula on July 6 to see the sea. 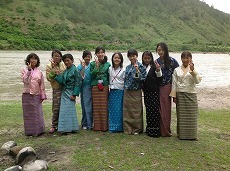 They had never seen the sea before as Bhutan does not have a sea. 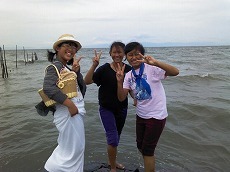 They were delighted to see the sea. 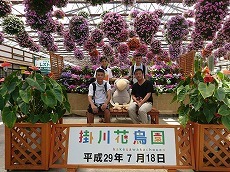 Then, they went to Minami-Chita Beach Land and enjoyed a dolphin show. 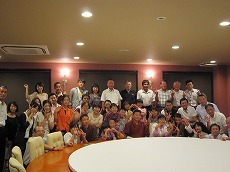 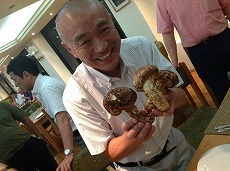 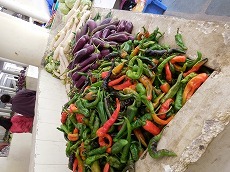 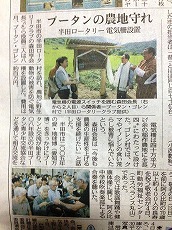 ★They made a courtesy visit to the mayor of Handa in the afternoon of July 6. 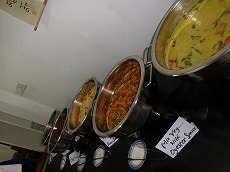 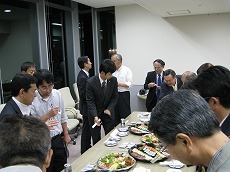 After that, they went to a welcome party. 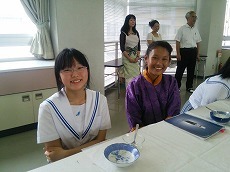 ★They experienced to make a ceramic on July 7 . 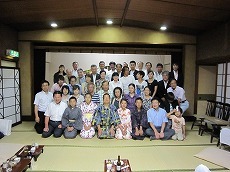 It should be a nice memory to them. 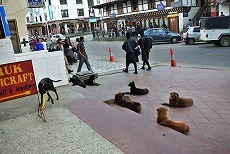 It was not easy for them to make a ceramic. 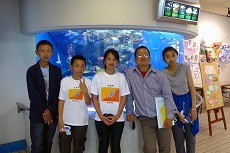 We hope their ceramics will be finished well. 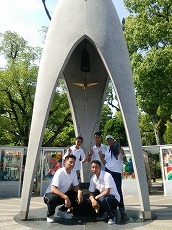 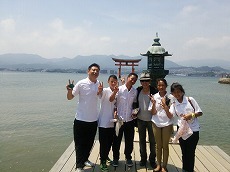 They went to Hiroshima Peace Memorial Park on July 4. 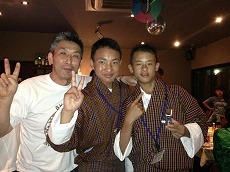 The Bhutanese teacher and students safely arrived at Handa. 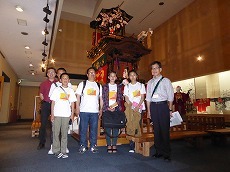 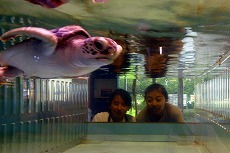 After arriving at Handa, they went to Handa museum and Handa Science museum straightaway. 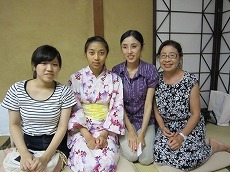 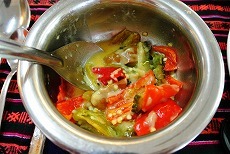 Then, they went to the host familyhome for home stay. 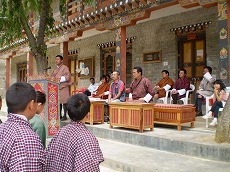 Handa-Bhutan Youth Friendship Association donated 250 books to Dawakha　Elementary & Middle School in Paro　in Bhutan. 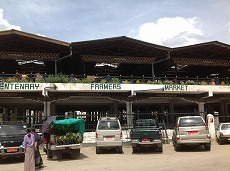 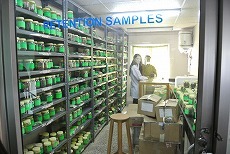 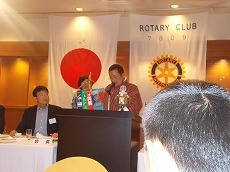 This project was financially assisted by Handa Rotary Club. 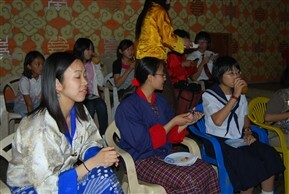 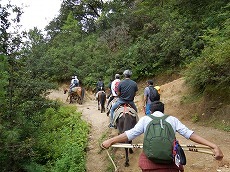 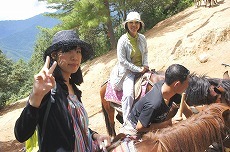 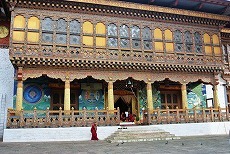 Before Handa-Bhutan Youth Friendship Association was established, the delegation went to Bhutan in June in 2008. 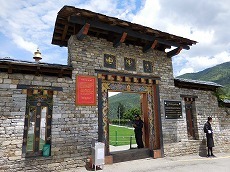 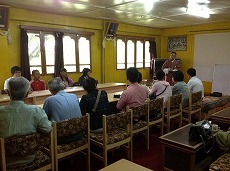 While the delegation was in Bhutan, they visited Dawakha Elementary & Middle School. 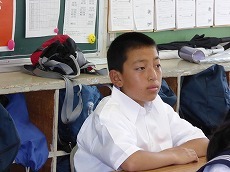 They saw that the bookshelves in a big school library had only few books which looked almost worn-out. 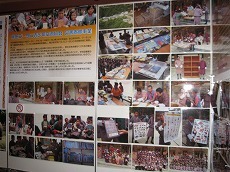 Probably, those books were read by many children over and over. 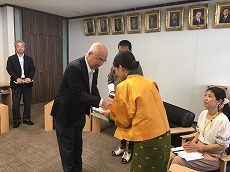 When the delegation saw this situation and was moved by the warm character of the principal who cared the children very much, they decided in their mind to donate books to the school. 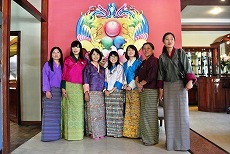 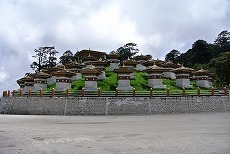 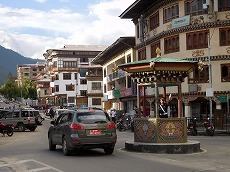 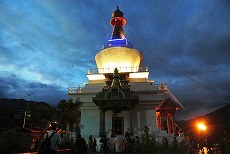 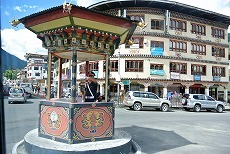 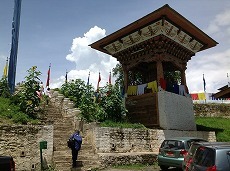 Handa-Bhutan Youth Friendship Association was established in September in 2009. 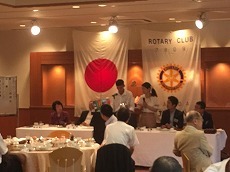 It was decided to donate books when Handa Rotary Club provided a financial assistance to this project. 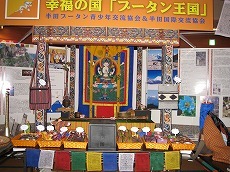 The association asked Mr. Kido in Bhutan to help the book donation project as the association could not visit Bhutan again. 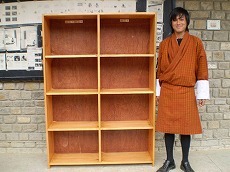 He helped us a lot in project including purchasing books and transporting books. 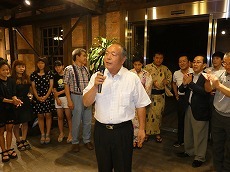 The association really appreciate his contribution. 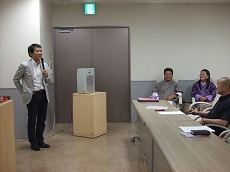 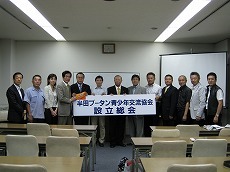 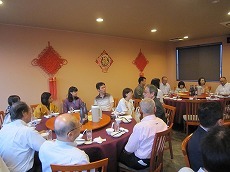 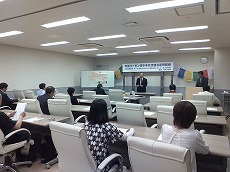 The book presentation ceremony was held on June 27. 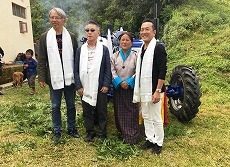 The school teachers, the students in senior classes, the chairman of Paro education board, Mr. Ido on behalf of the association and others attended the ceremony. 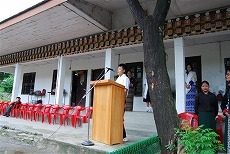 The principal said “It has been a problem for us to have only few books even though we have a big library. 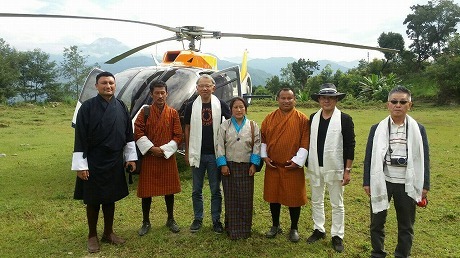 I am really grateful to Handa-Bhutan Youth Friendship Association.” The chairman of Education Board said “There is a variety of books which junior to senior students can use as good references. 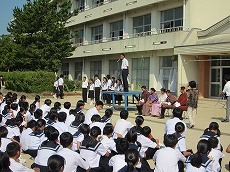 The teachers can use them as well. 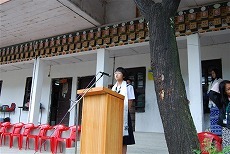 It is a big benefit to the school. 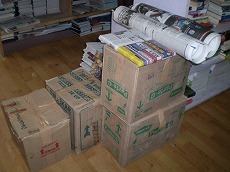 We should handle the donated books with care. 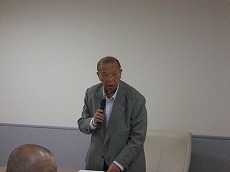 Mr. Ido gave a speech to the students. 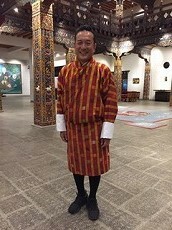 “I am sure the children in Bhutan will have an opportunity to visit other countries including Japan in the future and see many things. 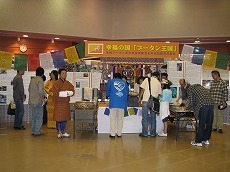 But, until then, you can do it here by reading books. 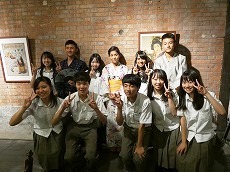 Please enjoy books. 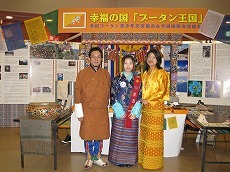 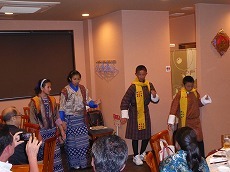 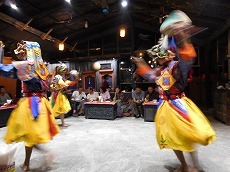 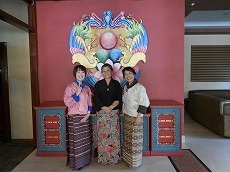 ★Three young people come to Handa from Bhutan this year. 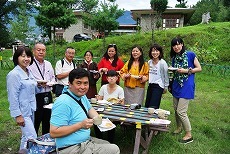 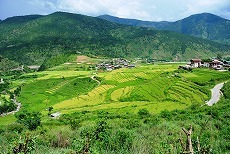 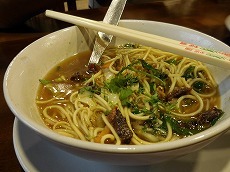 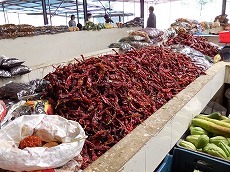 They stay at host family home and meet the people. 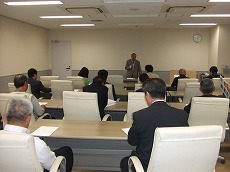 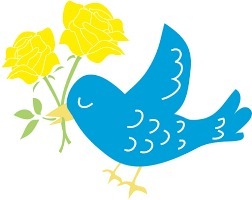 The first board of directors will be held in No. 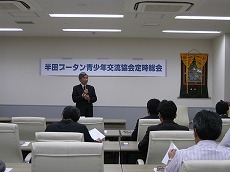 2 training room in Handa chamber of commerce and industry at 7:00 pm on October 23, 2008. 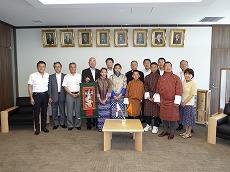 The general assembly was held in Aichi Prefecture Kinrou Fukushi Kaikan to found Handa-Bhutan Youth Friendship Association. 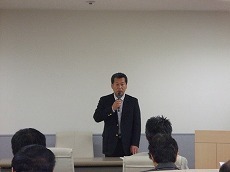 Mr. Takuo Ikeda gave a speech on behalf of all proposers. 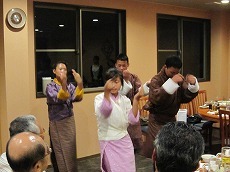 After the delegation member reported the recent visit to Bhutan. 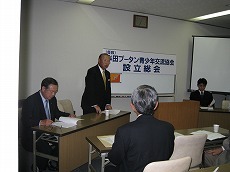 The articles of the association and the list of the association directors were approved.